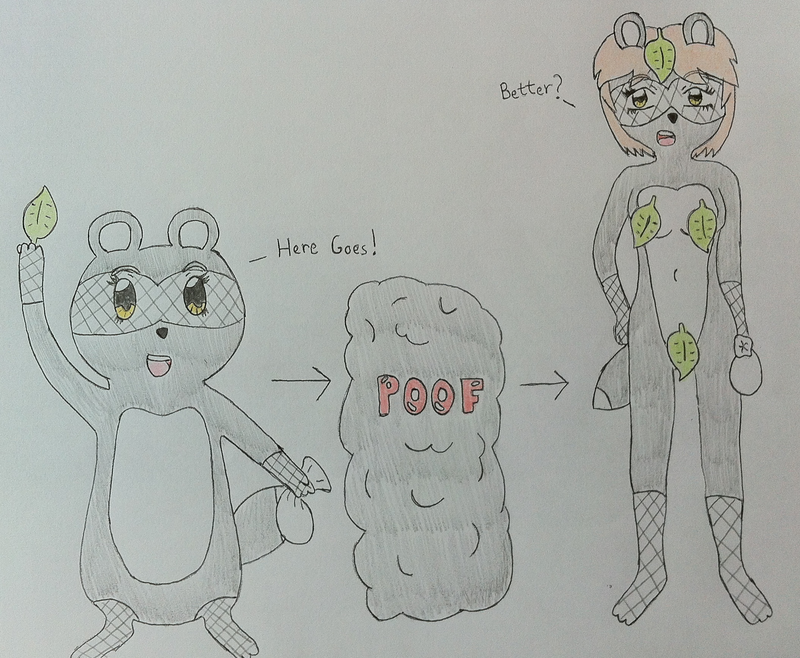 Hazuki, like most Tanuki, is able to transform with the assistance of magic leaves. In fact, she can transform into just about anything, or anyone she wants to, and hold that form for a few hours if she needs too. She normally appears short, plump, and stuffed animal-like, but being the pervert she is, prefers the appearance on the right. Much easier for her to get what she wants that way.